Dreams can be pleasant, horrid or outright creepy. We all dream — even if we don’t recall anything the next morning. But why do people dream? What do these dreams mean, anyway? We set out to unravel all the mysteries behind what makes people dream and why we even dream in the first place. At the most basic level, dreams are images, thoughts, sounds, voices, and sensations experienced when we sleep. They can involve people you know, people you’ve never seen, places you’ve been to and places you’ve never heard of. Sometimes, they are as commonplace as recalling the events you encountered during the day. Other times they are your deepest and darkest secrets or your most private fantasies. There’s no fixed limit to what you can experience when you dream and really no reason to why you end up dreaming. Stresses in one’s life can manifest in dreams plainly or be ingeniously masked with imagery. For example, a dream about a strange ghost chasing you in a dark forest could be the stress you feel about a relationship with a close friend. A dream about being stuck inside a dark room with no doors or windows could be an echo of your feelings about impending doom. Stage 1: Light sleep, our eyes move slowly, muscle activity slows down. Forms about 5 percent of our total sleep. Stage 2: Eye movements stop and brain waves become slower. There are occasional sleep spindles (bursts of rapid brain waves). Forms about 50% of our total sleep. Stage 3: Extremely slow brain waves, interlaced with lighter sleep spindles. Forms about 6 percent of our total sleep. Stage 4: We enter into deep sleep. It is very difficult to wake someone at this stage. There’s zero eye movement or muscle activity. If you awaken at this stage, you often feel groggy and disoriented for several minutes. Forms about 15 percent of our total sleep. Note: Stages 3 and 4 represent non-rapid eye movement sleep (NREM). Stage 5: Rapid eye movement (REM) stage. Breathing rate increases and eyes jerk rapidly in various directions. Heart rate increases, blood pressure increases, and males tend to develop penile erections. The most vivid and realistic dreams occur at this stage. Forms about 20 percent of our total sleep. At the 90 minute mark, after most people have passed through deeper, slow wave sleep, they switch into the REM sleep. The body lies still through the REM phase, but the brain is nearly as active as when it is fully awake. At the same time, motor signals from the brain to the body are inhibited to paralyze us temporarily. Otherwise, we’d be all up and running from monsters in our pajamas or trying to swim out of our beds. There are several theories and explanations to why we dream, but nobody knows for sure. Researchers say that dreams have no clear meaning and are illogical activities that occur in a sleeping brain. Others say that dreams are essential for physical, emotional and mental health. The most honest answer is we don’t yet know why we dream. But while we still don’t have definite answers, here are some theories that attempt to debunk the mysteries behind dreaming. Sigmund Freud proposed that while our dreams are a collection of images from our daily lives, they have symbolic meanings. He believed that dreams are a perpetual window into our subconscious selves. He says that dreams reveal a person’s thoughts, motivations, and unconscious desires. They are one way for people to satisfy their hidden urges and desires. Freud believed that by analyzing these elements, the unconscious content would be relieved to the conscious mind, and all issues stemming from it could then be addressed and resolved. To boost performance on certain jobs, sleep is good, but dreaming while we sleep is even better. In 2010, researchers found that their subjects were much better at solving a complex 3D maze when they napped and dreamed of the maze before attempting it a second time. In fact, they were up to five times better than those who had only thought of the maze while awake and those who napped but didn’t dream about the maze. 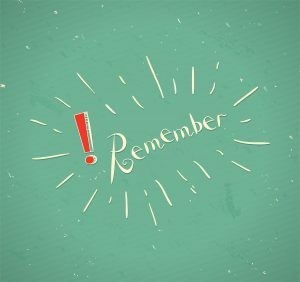 The researchers concluded that some areas of the memory are sharpened when people are asleep, and dreams are proof that their memories are being jogged. Stress neurotransmitters in our brains are much less active at the REM stage of sleep, even when we dream of traumatic experiences. In light of this, some researchers have been led to believe that one purpose of dreaming is to help us solve the problems and challenges in our lives. During a study, researchers woke their subjects just as they were drifting into the REM stage of sleep. They discovered that those who weren’t allowed to dream had a lot of tension, anxiety, and depression. Most experts believe that dreams are there to help us cope with stress and solve the problems facing us. The continual brain activation theory proposes that our dreams are as a result of our brain’s need to continually create long-term memories for it to function properly. 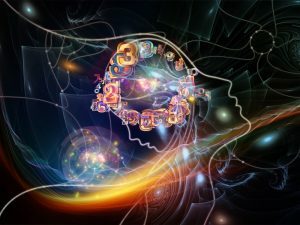 When its input falls below a certain level, like when we are asleep, the brain automatically triggers generation of data from its memory storages, which then appear to us in the form of feelings and sensations in dreams. To put it in a simple way, our dreams might be a temporary ”screensaver” to our brains, so they don’t completely shut down whenever we sleep. Nightmares blaze through our minds, vivid and frightening, making our hearts pound. And unlike ordinary dreams, nightmares usually awaken us. Some distinct moment of panic or fear jolts us into consciousness and out of the vile nightmare. Young children between the ages of 5 and 10 experience regular nightmares. Fortunately, most will outgrow them. Still, everyone experiences a nightmare now and then, and some people get a lot of nightmares to the extent that they are diagnosed with dream disorder. Sometimes, nightmares are an indication of post-traumatic stress disorder (PTSD). REM sleep provides the setting for the most vivid dreams and nightmares. It’s a sleep stage which is both deep and active. During REM, our limbic systems (brain’s centre of emotion) get into a frenzy of activity. At the same time, our prefrontal cortex (brain’s centre of logic and reasoning) snoozes off. So, you are at a stage where you have wide-awake emotions but dormant thinking. No wonder you can dream about the most outrageous things and just shrug them off. If you have recurring nightmares, your subconscious mind may be alerting you of something. Don’t ignore it. If you can’t figure out on your own why you’re always having nightmares, consult an experienced mental health care professional. He or she may find out what’s causing your bad dreams and help you find ways to stay calm. Remember that no matter how horrible a nightmare gets, it’s not real and will never happen in real life. If you never CHASE your Dream you will never CATCH them. Yes. Lucid dreaming is real, and many people around the world do it. In fact, it has been a scientifically verified phenomenon for the last four decades. While most people still think it’s just psychological, it’s not, it’s physical too. 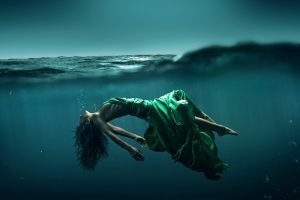 The concept was first actualized in the UK in 1975, but researchers at Frankfurt University conducted another research in 2009 that confirmed that lucid dreams are indeed real. They revealed that lucid dreaming is a hybrid state of consciousness. Seriously speaking, a lucid dream is basically a hole between the conscious and unconscious world. It is a state in which a person knows they are dreaming and has the ability to make changes to their dreams. It usually occurs while a person is in the middle of a dream and suddenly realizes they’re dreaming. This is dream-initiated lucid. A wake-initiated lucid happens when you go from a waking state directly into a dream state, with no clear lapse in consciousness. In both these scenarios, you have some ability to control your dream self and the dream itself. 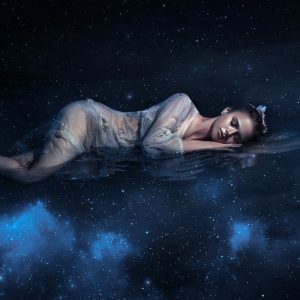 Know when lucid dreams most commonly occur. Lucid dreams occur during the REM sleep. The first REM sleep typically occurs ninety minutes after you fall asleep. The aim of knowing this is to wake up during REM phase, then fall back to sleep and continue dreaming, having known that you’re dreaming. Wake up in the middle of the night. Set the alarm to go off ninety or so minutes after you fall asleep. You’re more likely to be in REM phase during this time. Stay awake for some time. Write down your dream as soon as you wake up. You can also get up and pace up and down for a while or make yourself a snack. Your goal is to get your conscious mind alert and active, while your body is still sleepy. Researchers say that staying awake for around 30 minutes gives you the highest chance of having a lucid dream. Focus on your dream as you fall asleep again. Go back to bed and focus on the dream you were having. Imagine yourself continuing the dream. Even if it takes a while to actualise the dream in your brain, you’ve got a high chance of going into a lucid dream. 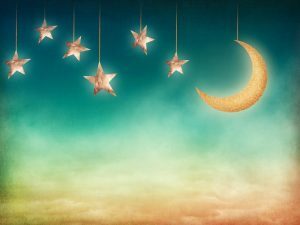 Do Dreams really Have a Deeper Meaning? 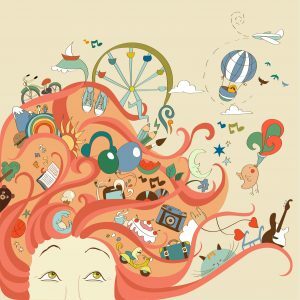 While researchers have not demonstrated the reason why we have dreams, many experts believe that dreams actually do have meaning. 1. Falling: Loewenberg calls this type of dream a red flag from your conscious state. She says that this dream is common in people who are going through a major storm in their life with relationships, work or elsewhere. 2. Death: Lawrence’s interpretation of this dream reveals a wish to terminate something in life — could be a toxic relationship, a stressful job, a bleak career or something bad in your past. Grant’s dictionary explains that this dream is not really a nightmare. It says that it’s a dream meant to encourage someone to embark on a new endeavor and start afresh. 3. Being chased: Despite the horrendous feel of this dream, Wallace considers it a sign of something positive. He believes that such a dream is supposed to inspire or encourage the dreamer to face a problem that has been disturbing them for some time. Loewenberg says that this dream occurs more frequently in women than men. 4. Flying: Wallace claims that when someone dreams that they are flying, they are encouraged to stop worrying about current issues and allow things to fall into place naturally. He says that flying could also be a sign that there is something out of control in someone’s life. 5. Cheating Partner: Most researchers agree that this dream should never be taken as a prediction or prophecy into something. According to Loewenberg, the cheating dream often happens when your partner is spending too much of their time on things that don’t involve you. Similarly, Lawrence says that lack of trust in a romantic relationship tends to cause such dreams. Dreams have mystified humanity ever since time immemorial and will most likely continue to puzzle us. Although research has enabled us to get insights into what happens in the human brain when we dream, we may never really know why we dream.